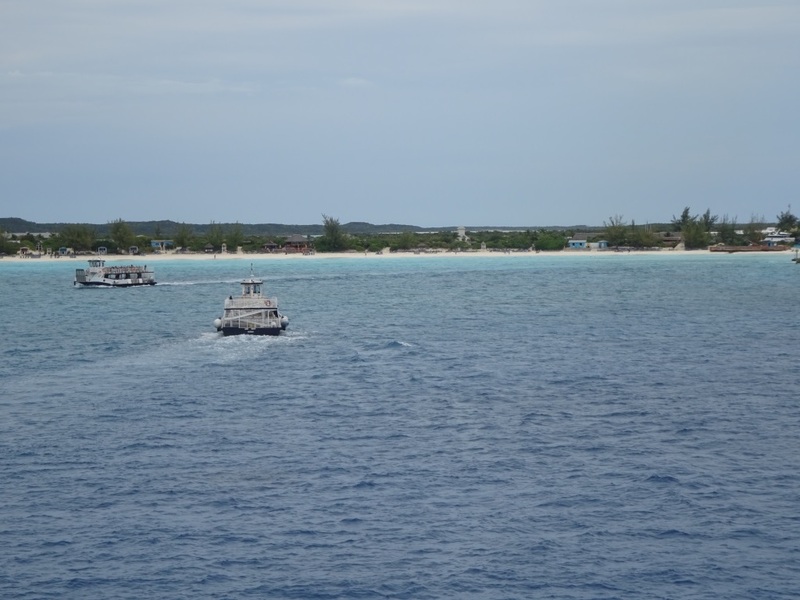 Half Moon Cay during a slightly overcast day. The two shore tenders, the Henry Hudson and the Anne Bonney maintained a quick and regular shuttle service between ship and shore. That meant that there was not much wind and no blistering sunny beach day; mostly overcast with the sun peeking through. For the guests who had been cooped up all winter in snow and ice not a bad start of the cruise as it meant that their chance of looking like a lobster would be a lot less. It was only just before departure that the wind shifted again but by then we were already busy with heaving up the anchor and heading towards our next port of call Cartagena. 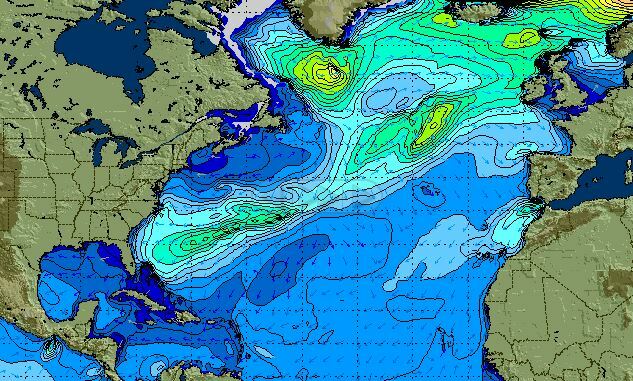 Our first two days at sea. I did not have space yesterday for another important item, we changed captains. Captain Frank van der Hoeven went on a well-deserved vacation and his place was taken by Captain Friso Freher. 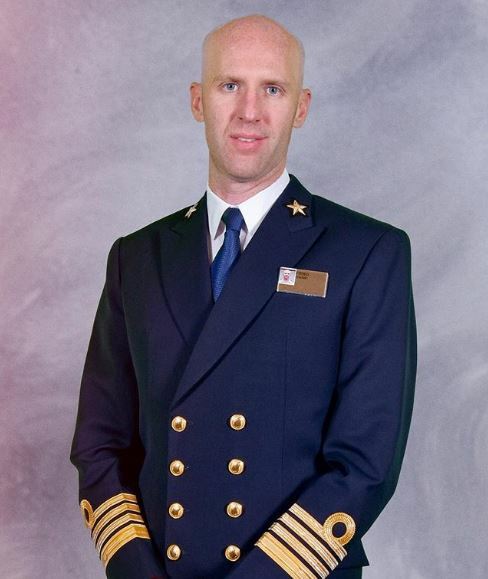 Captain Friso is one of our newer Captains but he has been with us for 23 years and has spent lots of time on the R class, to which the Volendam belongs, including doing several world cruises. As soon as I can entice him to do so, I will upload his biography on the website. Some readers who are frequent cruisers will have seen and/or experienced that cruise ship balconies do not always look as great as they should. 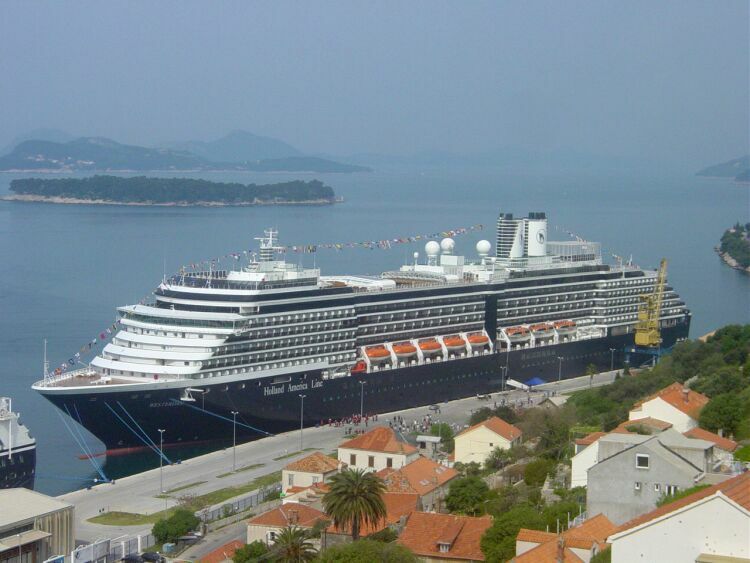 Not always on Holland America and certainly not on some of the other companies. Especially balconies with a wooden railing top are a challenge. Not having a nice looking ship, which can include 500* balconies, goes against the Dutch idea of cleanliness (our company used to be called the spotless fleet in the Trans-Atlantic days) and thus it results in irritated Staff Captains. And ever since we have balconies (starting with the Statendam in 1992) we have been battling against the problem. The main challenge is accessibility. HAL ships sail at least 99% full and with bunk beds occupied often over the 100% and then it is hard to do balcony maintenance. The guests want to sit on their balcony when not ashore, and when ashore they do not like to see a big sign on their balcony door, saying wet paint. That means we can only work on balconies in change over ports but then there is so much else going on. So through the years we have developed a few strategies: 1. We have spare railings on board and they are exchanged with the ones in need of varnishing so the guests keep a nice railing. 2. We ask the guests if they do not mind that we paint their balcony if they are ashore for a long time (we conspire with shore excursion to find out who is going on a full day tour) 3. We speed up the process of 2. With having a sailor – riding team on board for certain periods so all the balconies can get some focus while it does not distract from the regular work on board. Those sailors, with a Bo ‘sun as a leader, rotate over the whole fleet hoping to win the “balcony battle”. We have more and more of these riding teams as the work on board is getting so complicated with a constant increase of all sorts of rules and regulations so that the amount of maintenance that can be done with the regular teams is getting less and less. So much is in a near constant flux that the teams on board can just keep up with doing their work as the completion of their work now takes so much longer than before. Things have “progressed” so far that one almost takes 3 forms just to move a bucket of water from one deck surface up a ladder. And regulators and auditors are still coming up with new ideas. So the number of support groups and trainers have increased considerably as well and that will not go away anytime soon. I am in constant awe of all the maintenance that is being done while I have cruised. Kudos to all of the staff for trying to keep the ships so beautiful. So much hard work, and hopefully the staff is well compensated for their endeavors!! !